Today I have Sally Hansen Salon Gel Polish in Blue My Mind to share with you all. Normally gel polishes are not incorporated into my manicure routine because I change polishes so often and the gel application and removal processes take longer than with regular polish. Although, I do think gel polishes work really well for individuals who (are not crazy addicts like me that change their polishes 3-4 times a week) like to keep one colour on their nails for a long period of time without having the polish chip. Onto the polish...the package contains one 7ml bottle of polish and an instruction sheet. The package boasts salon quality, up to 2 weeks wear time with no chips and a mirror shine. 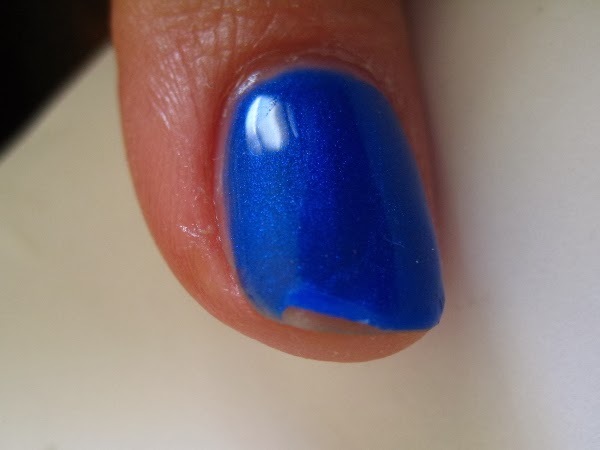 It also indicates that a LED lamp must be used with the gel polish. I only own a UV lamp and I didn't want to go out of my way purchase a LED lamp just to try this polish so I tried the UV lamp and ended up successfully curing the polish but instead of the 30sec it recommends for a LED lamp I had to cure it under the UV light for 2 minutes. Check out how long this mani lasted! 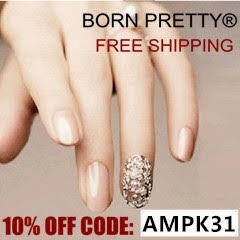 Each polish is 0.25 fl oz / 7 ml in size and priced at $14.95 MSRP. The collection contains 5 new shades and will be released February 2014 and will be available in most drugs stores across Canada. Overall, I was really impressed with the gel polish. It lasted the 2 weeks it claimed and didn't chip at all (except for the thumb, but that was my fault because I forgot to cap the free edge.) I would definitely like to try more colours from the collection although I'd wait for a sale or special because $14.95CDN for a bottle is a little steep for only 7ml of product.